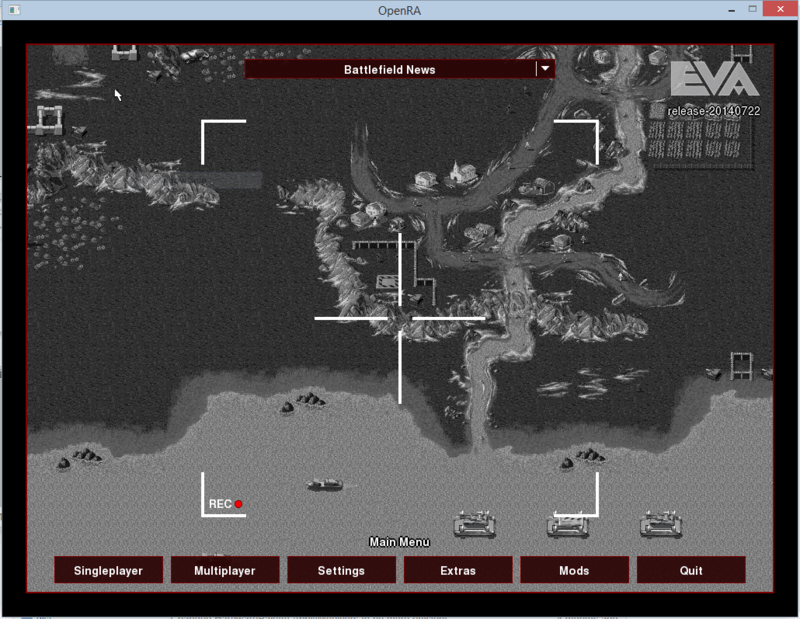 If you are familiar with Dune 2 or the Command & Conquer Serie you will definitely love OpenRA. We include recreations of C&C (Tiberian Dawn), C&C: Red Alert, and Dune 2000. These are not intended to be perfect copies, but instead combine the classic gameplay of the originals with modern improvements such as unit veterancy and the fog of war. OpenRA’s primary focus is cross-platform multiplayer between Windows, OS X, and Linux; however, we include a number of single-player missions, and also support skirmish games against AI bots. I always wanted to take a deeper look at Games, but most Games are written in C/C++ or other crazy languages. 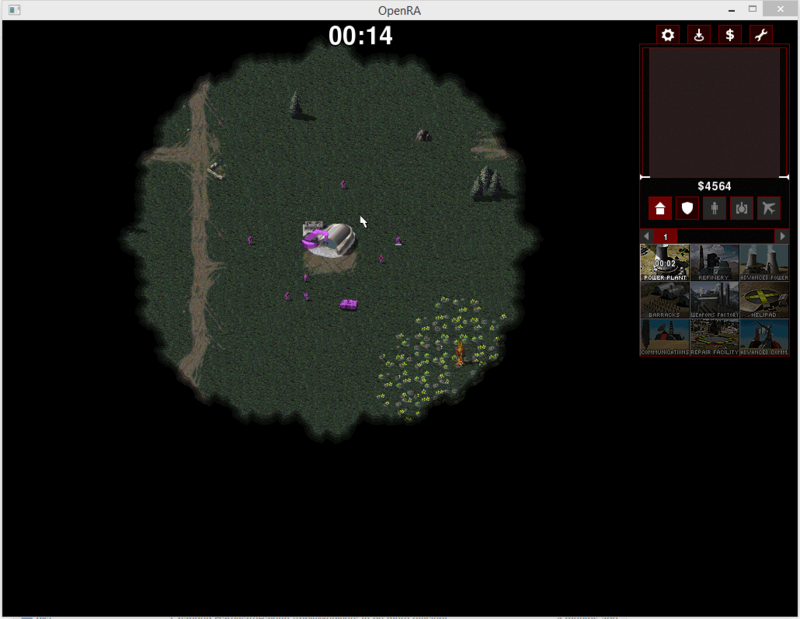 OpenRA on the other hand is written in C# and is on GitHub - so Yeah! A Tiberum Sun Mod (the 3rd C&C) is currently under development. All games have been updated with “modern” RTS game elements - I definitely had great fun playing some rounds. 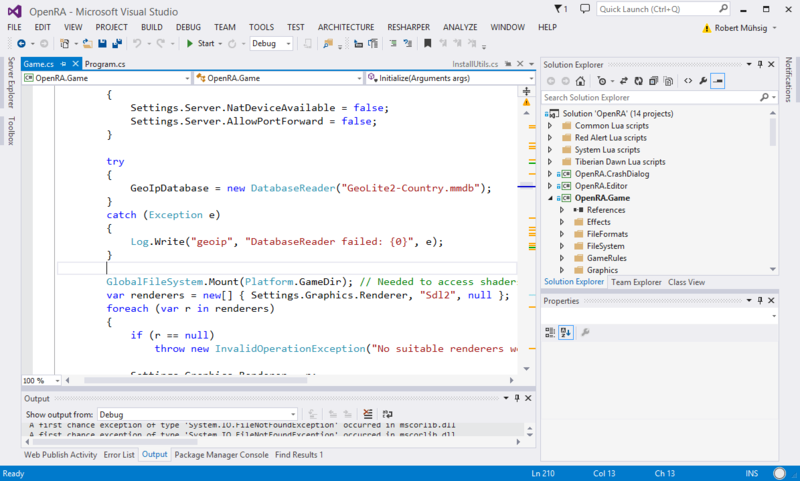 Or run it in Visual Studio. This should build the solution and will start the game. You can also compile the Game with Xamarin or Mono Develop under OS X or Linux and you don’t need any expensive Visual Studio licence - the “Express”-Version should work, too. For me the biggest difference between a real Game and a “normal” business application is the Game loop - which is kinda crazy, because it’s a big while-loop. This loop is in charge for rendering and the logic. You can found the OpenRA Game loop in the Game.cs. Working with the different assets from C&C & co.
As I already said - if you are interested in Game Development, this could be a good start. There is also a special GitHub label for easy tasks if you want to contribute. You can also just enjoy this great game. I’m always open for a quick OpenRA match.